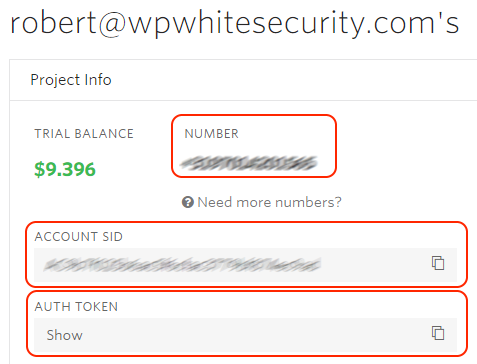 You can configure the WP Security Audit Log plugin to send you instant SMS notifications about important WordPress site changes. To send SMS messages the plugin has to be integrated with the Twilio cloud communications platform. 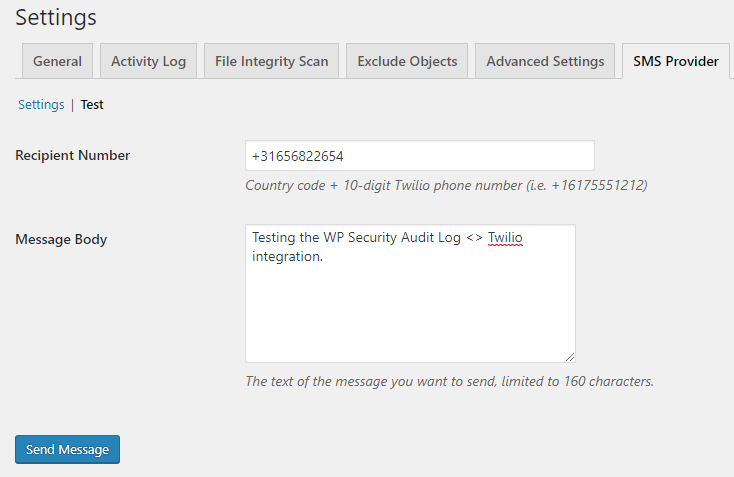 WP Security Audit Log has out of the box support for Twilio, so it only takes a few minutes to configure the integration – all you need to do is copy the Twilio number, Account SID and Auth Token. Follow this document for a step by step explanation of how you can configure the plugin to can receive SMS notifications on your mobile and smartphones. Create an account on Twilio or use an existing one. Login to the Twilio Console, which is shown in the below screenshot. Navigate to the Settings > SMS Provider tab in the plugin’s menu and copy the numbers highlighted in the above screenshot in their respective fields. At this stage the integration with Twilio is ready. You can configure activity log notifications and get notified via SMS of critical site changes. Before proceeding we recommend you to test the integration by clicking the Test button and send a test SMS.